The highly-anticipated manga film adaptation “Death Note: Light Up the New World” is an interesting follow up to the original three Death Note films. The story takes place 10 years later since two geniuses fought the battle of intelligence and now, six different notebooks fell down on Earth. The film simultaneously takes place in Shibuya, Wall Street and Russia where authorities are on high alert with Death Note killings taking place while a world renowned private investigator, Ryuzaki (Sosuke Ikematsu), joins the Task Force. He is regarded as a successor to L and it is him who figures out that there are six Death notes this time. The unexplained deaths started when Light Yagami aka Kira, a Japanese college student found a mysterious notebook, Death Note that revealed that if a person will die if his name is written in the notebook. He used the Death Note on fugitives to punish them making him one of the most wanted serial killers by the authorities. Until a well-known detective named L stopped him at the cost of his own life. In the latest movie “Death Note: Light Up the New World”, havoc is once again created when Death puts his Death Note in the mortal world again. The Death Note Task Force, originally set up by police officer Soichiro Yagami, is reinstated. Their office is in the Tokyo Metropolitan Police Department. With Yagami dead, the Task Force is made up of five investigators including Tsukuru Mishima (Mashima Higashide) who is well versed on the Death Note incident, and Touta Matsuka (Sota Aoyama) who is the only one from the original Task Force. 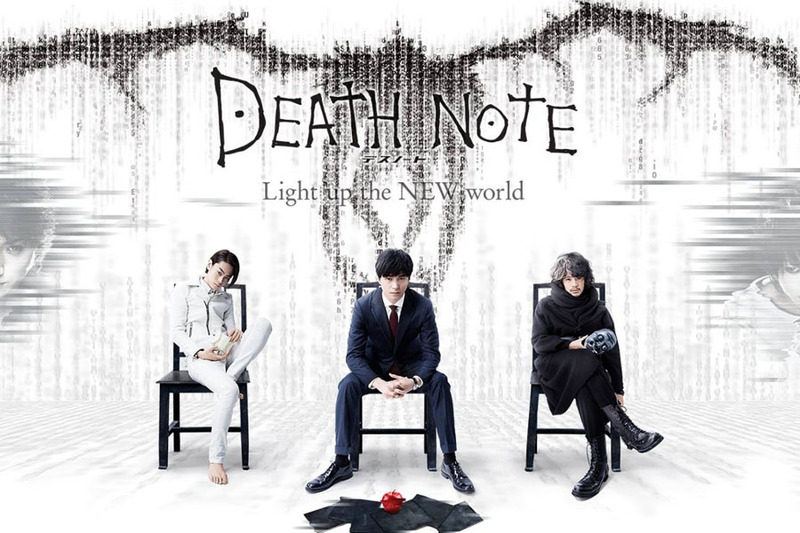 “Death Note: Light Up the New World” opens in cinemas nationwide on March 15 from Pioneer Films.